Is it just me, or did this week just fly by? It seemed as if I blinked and it was suddenly Thursday. But hey, I'm not complaining! Even though my weekend will consist of mostly preparing for finals, I'm so excited to catch up on sleep and some tv shows I missed (hellooo season finale of Modern Family!). 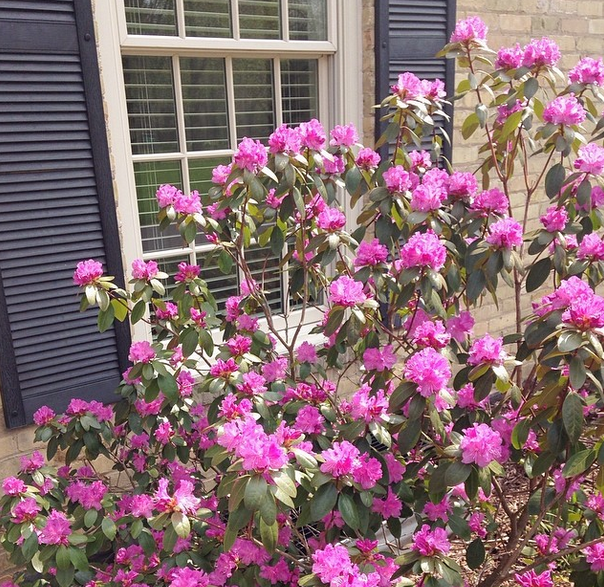 It's about time spring arrived in Wisconsin. I must have not been paying much attention because all of a sudden all of the trees are blooming - it truly is my favorite time of year. The temperatures have finally risen and we have even been going outside for some of my classes (gotta love free periods). 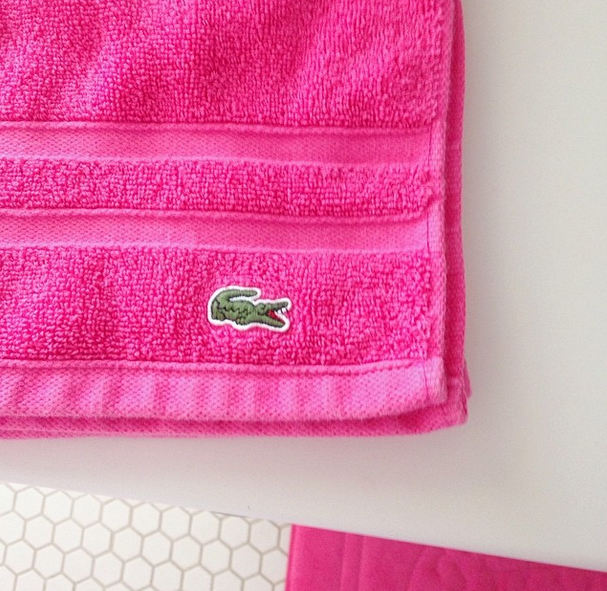 How cute are these Lacoste towels? I've been loving having them in my bathroom because they add such a bright and cheery touch to the all white decor. This weekend I'm going to really pamper myself, as I often don't have time during the week to do so. Cue the nail polish, bubble baths and moisturizing! I've been satisfied with the fact that I am actually choosing more nutritious food lately, like the delicious smoothie I made last weekend. Whether it's bringing a small bag of almonds for a snack or always having some sort of salad at lunch, making a few small changes really ads up. And I must say, I do feel a bit better! Drinking more water is next on my list - adding lemon has definitely gotten me excited. Lastly, I'm really missing Spring Break. Oh how it was nice to sit on the beach with no worries! I'm so jealous of everyone who is already on Summer break, but I know that after I work really hard for the next few weeks, I will have a whole 3 months of freedom ahead of me! 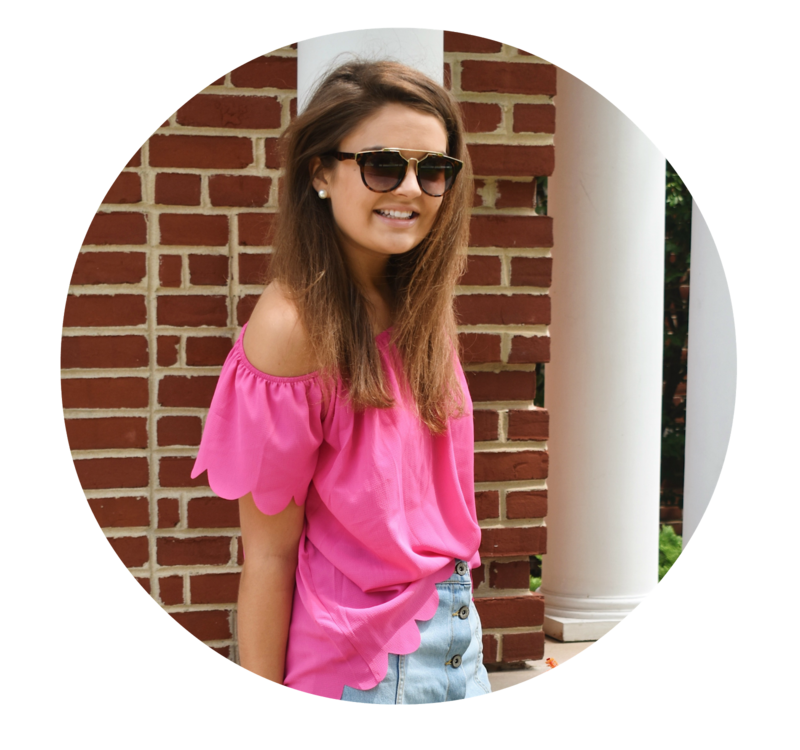 Expect posts about finals next week, I'm thinking a "finals fitness" and organization tips - let me know what you want to see! I love these Friday Fours! 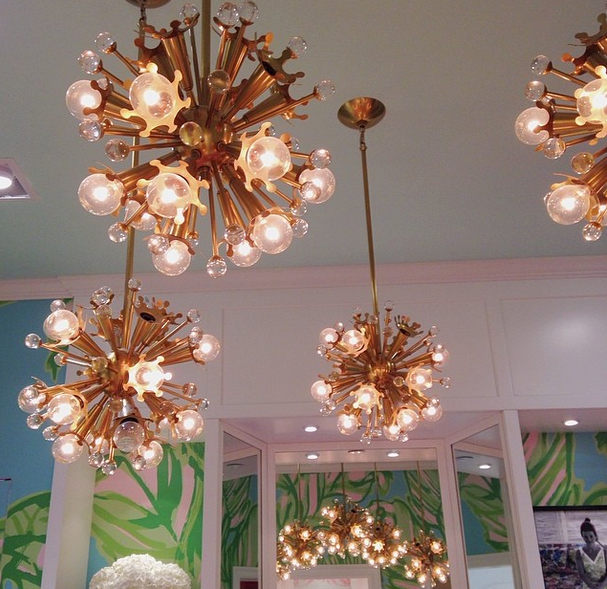 That Lilly store is so cute! 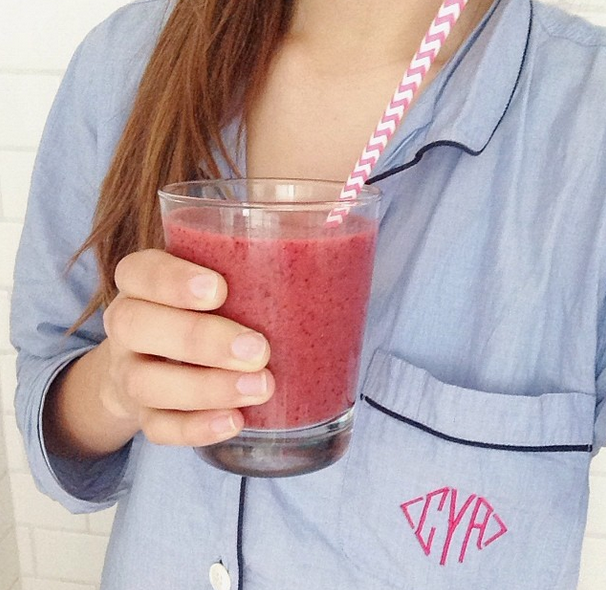 Love love love your pjs! They look so comfy! I'm looking forward to watching the Modern Family finale too!